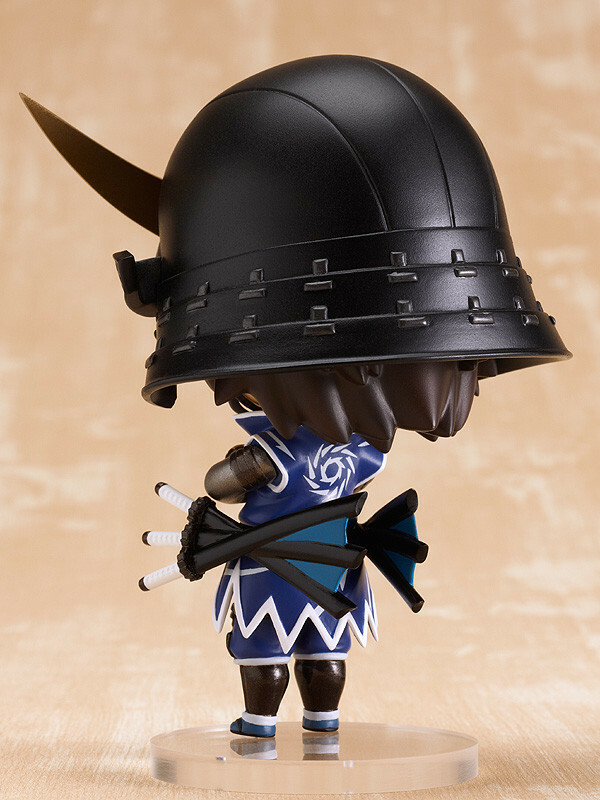 The flashy Masamune is going on resale! 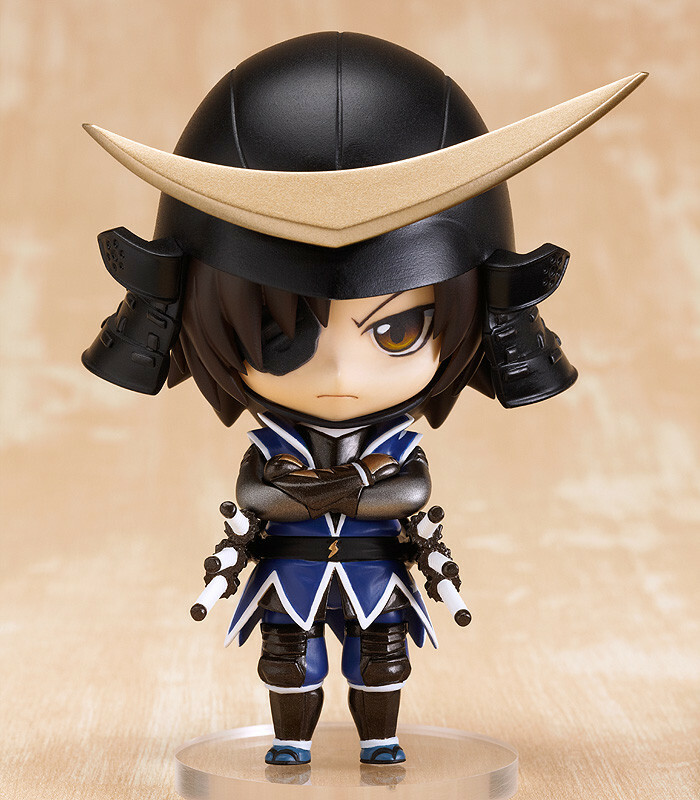 From the popular game and anime "Sengoku Basara" comes a Nendoroid of the main character that has spanned over the entire series, "Masamune Date"! 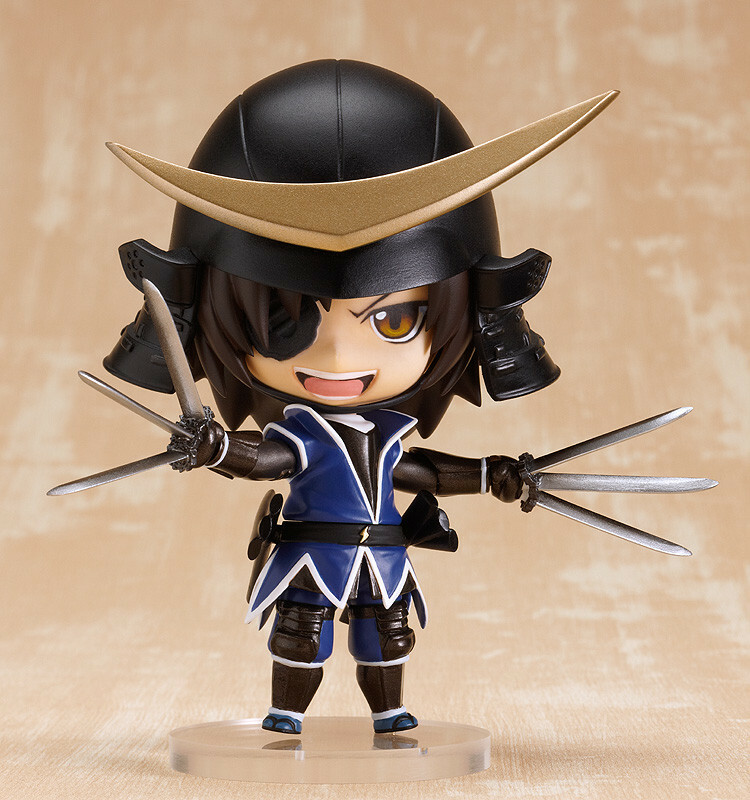 Masamune's wild personality has been shrunk down into a cute Nendoroid format which includes three expressions, unique arm parts with posable elbow joints and a set of folded arms! He also has his six katana sheath by his side, and all six swords can be removed and equipped to recreate his epic battle scenes! 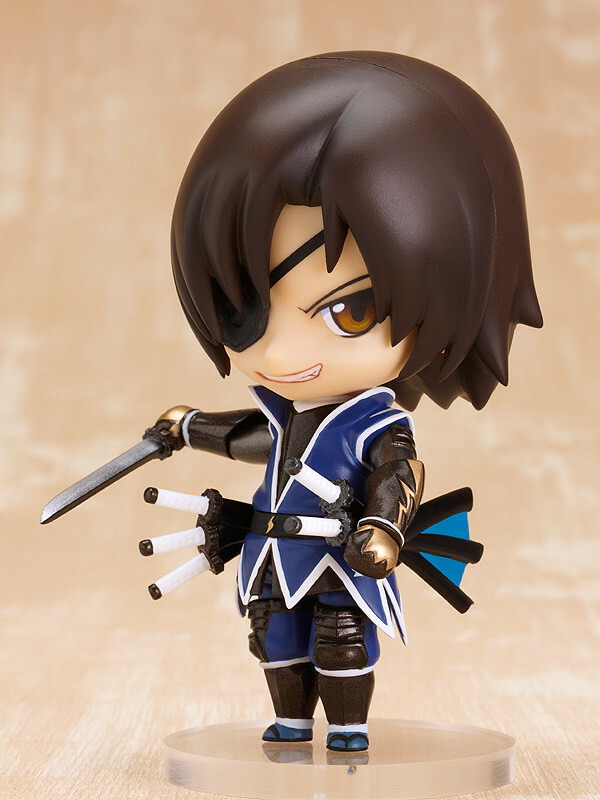 His rival, Sanada Yukimura is also getting the Nendoroid treatment soon, so be ready for some frightful combat between the two!